So you require a locksmith Hampstead Garden Suburbs? The chances are we have done work already on your road we have secured and done work on Kingsley Road, Winnington road, Ossulton Way to name a few! IKS Locksmiths are the physical security specialists and we are intruders worst nightmare! Our knowledge of your locks might be even better than you, call us now for a free security survey and you will see how we can help prevent a break-in. IKS Locksmiths offer a professional 24 hour mobile locksmith service in the Hampstead Garden Suburbs. Whilst offering residents in the area an unrivalled Locksmith service our team also responds immediately to both emergency call-outs in Hampstead Garden Suburbs as well as pre-booked appointments in the area with no call out charge, all day, everyday! IKS Locksmiths offer a second to none 24 hour emergency locksmith service in Hampstead Garden Suburbs. 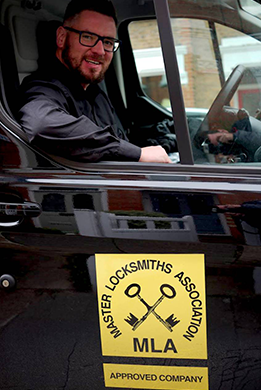 All of our Hampstead Garden Suburbs Locksmiths are, well stocked, equipped and expereinced. We are always ready for an emergency situation and provide a free of charge security survey for your security needs. Our priority is your security, we want it to be of the highest possible standard. By offering a free security survey we can identify any security issues that need to be addressed. Our expert locksmiths Hampstead Garden Suburbs will be able to advise you not only which products are most suitable for your individual needs but show you simple, no cost ways in which you can prevent future burglary. We believe this is what sets us apart from our competitors in Hampstead Garden Suburbs. Why not call us to talk about our Locksmith services or to schedule a time for one of our locksmiths to visit your property in Hampstead Garden Suburbs. To avail of our free security survey….